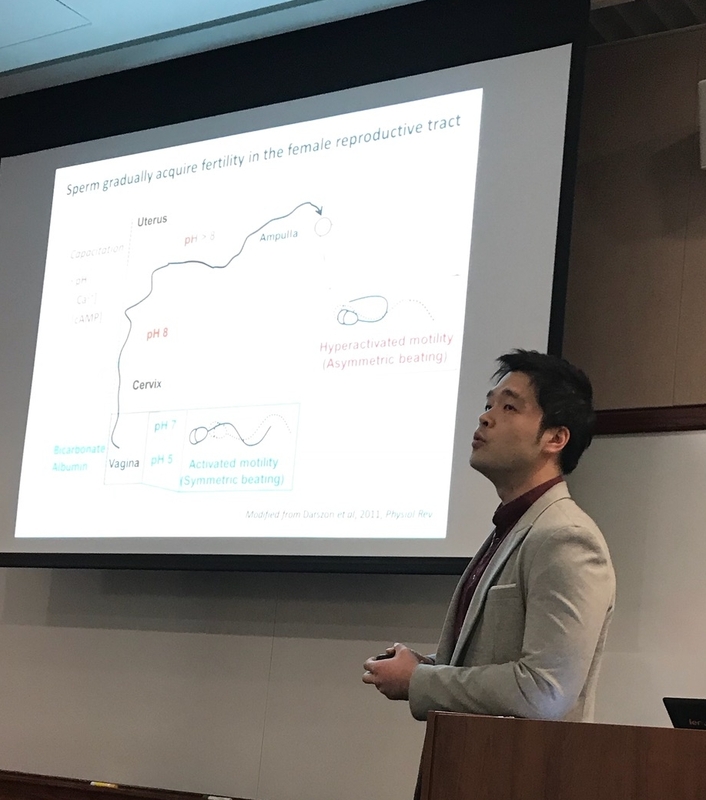 Jae's abstract was selected for a podium short talk and a cash prize at 2018 KASBP (Korean American Society in Biotech and Pharmaceuticals) Spring Symposium held in Boston, MA. It is the first data club by Huafeng! Nice debut, Huafeng! Jong-Nam's debut talk in the lab meeting. We'll learn about his research background. We welcome Jong-Nam in Chung lab. Jong-Nam proudly earned Study Abroad Fellowship by Seoul National University to join us! Nicely done and ready to write a manuscript! Chung Lab and Lesch Lab meet and talk about a paper of interest once a month! PI talks! (Part I) Byoung-Il talks his research direction. Chung and Lesch labs are excited to announce that we hold a monthly joint journal/data club, a.k.a., Male Germ Cell Club at Yale! We're meeting for the first time on 2/23. Happy Valentine! Komal will do a journal club. From last September, Jean-Ju had run the inaugural Career Seminar series for Department fellows :) Thank you all for the great turnouts and good feedbacks. Huafeng gives his debut talk in our joint meeting and will talk about his previous research. Jean-Ju gives a kick-off presentation of year 2018 by updating her research progress. We also welcome Huafeng Wang joining Chung lab!